1924 Bakersfield Californian 5 July 6/7 A smaller book wagon has served the county [sc. Multnoma County, Oregon] for several years… Miss Mulheron expresses herself as being greatly pleased with the appearance and performance of the new Graham Brothers ‘Bookmobile’. 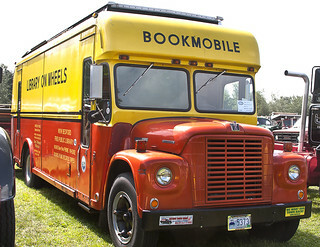 Was the word bookmobile coined in Oregon, or was it used earlier by libraries elsewhere? Local library records might hold evidence that could uncover the full story of the word’s origins.